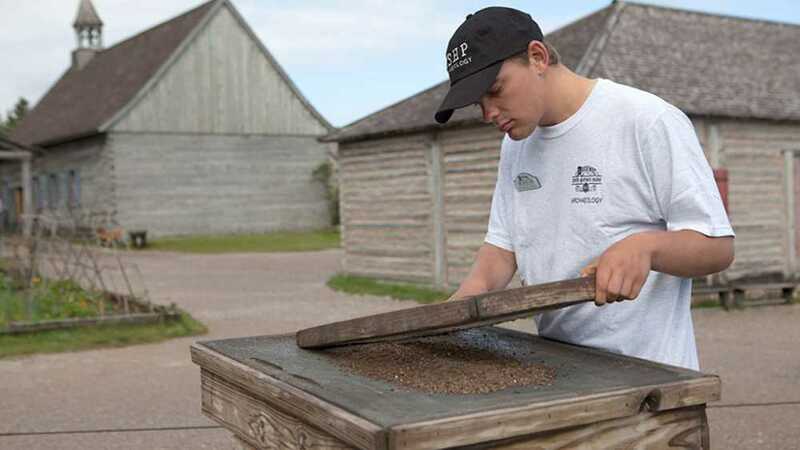 Treasures from the past come to life at this 18th-century fort and fur trading village. 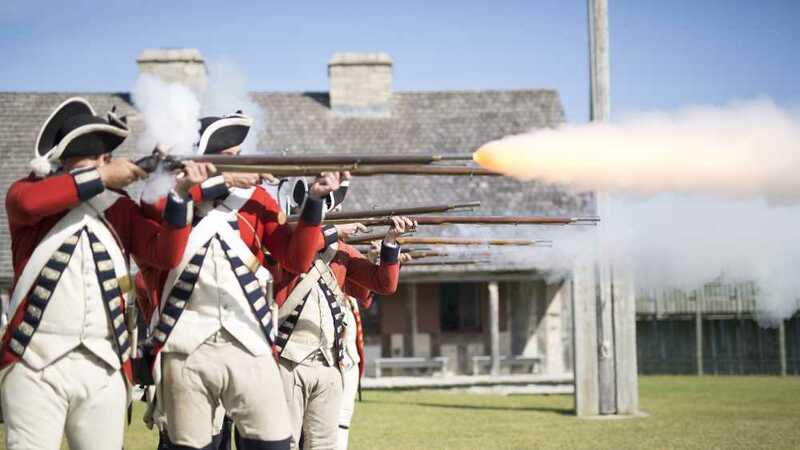 As you walk through the site, you are being transported back to 1776, as the American Revolution spread. 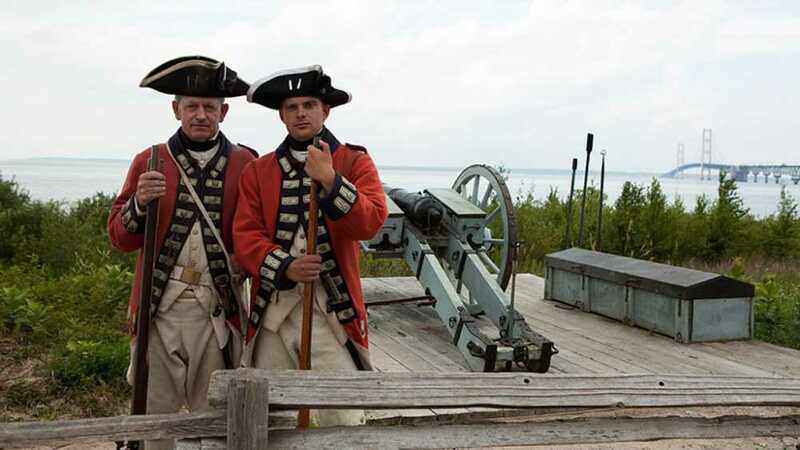 Reconstructed based on historic maps and more than 60 years of archaeological excavations that continue today, Colonial Michilimackinac offers a one-of-a-kind experience from artillery and cannon firings to hearth cooking and crafts. Children can immerse themselves in special kids' programs. Drill in the King's Army. 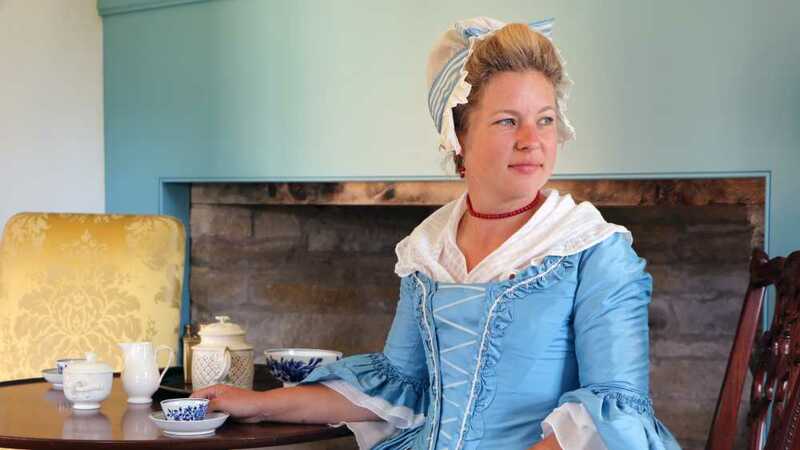 Play colonial games. Lift a fur bale or zoom down a slide in the Kids' Rendezvous Interpretive Playground. 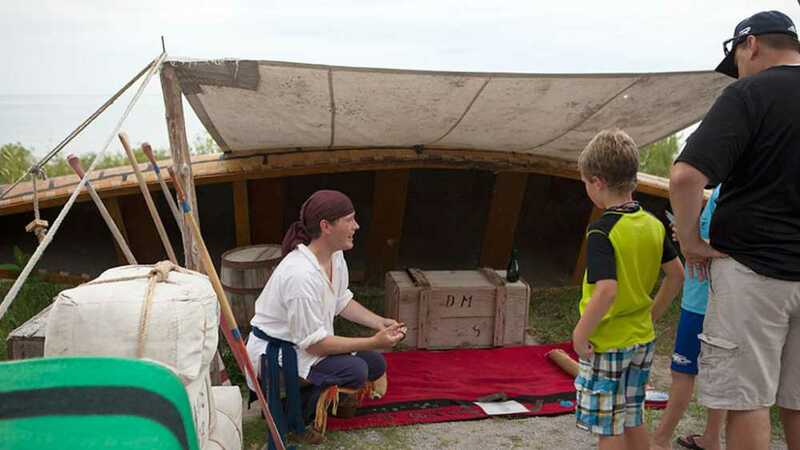 Be a voyageur in a reenactment. Witness an ongoing archaeological dig. 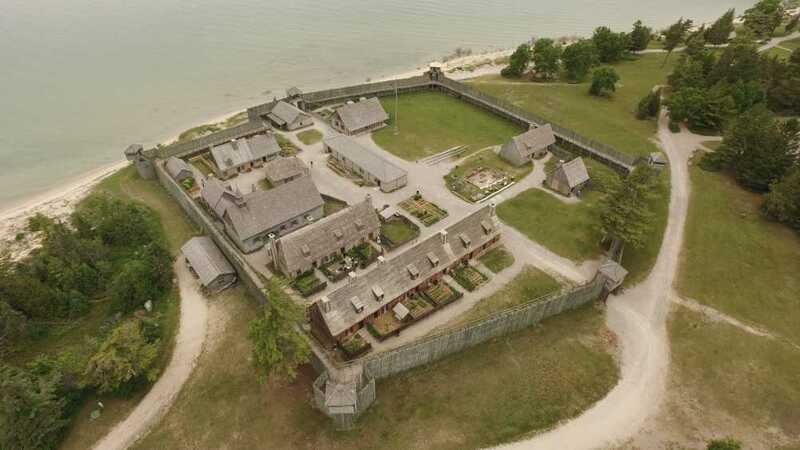 With 13 authentically reconstructed buildings, interactive displays, and demonstrations, the entire family will be engaged. 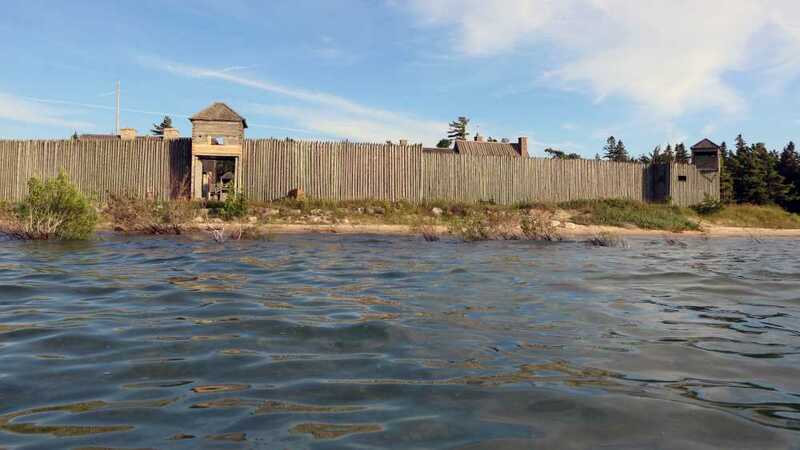 The Colonial Michilimackinac Visitor’s Center Museum Store and Hearthside Museum Store feature a wide variety of unique gifts, mementos, apparel and publications, as well as refreshments and snacks.